We have decided to have a late change around in the showroom and we have a brand new Charnwood Cove 1 on a Centre Stand & in Almond going at the incredible price of £955 instead of £1313. 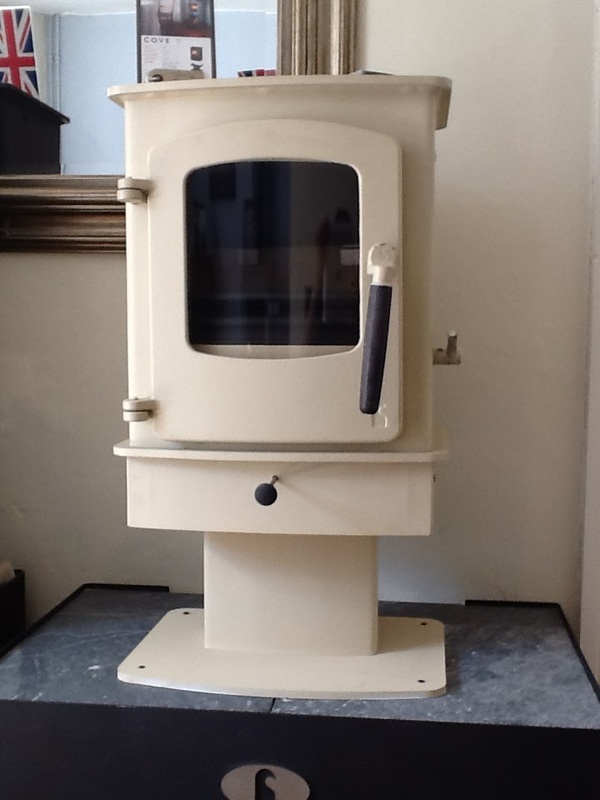 This fantastic little 5Kw stove has never been used so it will come with a full 10-year warranty. For more details and simply want to buy it, just call us on 01572 829 953. We at Heatsource of Uppingham are proud of our long standing partnership with Morso and by being one of their Centres of Excellence means that you will be able to get a complete sales, fitting & after-sales service, all under one roof. 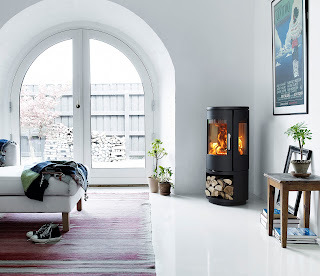 Take a look at the new 7443 - Defra Approved Wood Burning stove, which will reach us in a few weeks. This beautiful 5.7kw stove has all the attributes of a modern efficient wood-burning stove taking up to 30cm logs, with three large glass panels for the maximum fire view in an elegant cast-iron body for durability. It has the facility to be externally ducted from the rear to bring sufficient air for the combustion when installed in a brand-new house. This new creation supports the newly re-designed "Squirrel" Logo, which embodies Morso and its history as one of the leading manufacturer of high quality wood burning stoves. This new collection is also competitively prices starting from £1778.00. For more information, please do not hesitate to call our showroom on 01572 829 953. Labels: Biomass, biomass rutland, Heatsource, Nathan Welham, Solar Thermal, Uppingham, Xcel heat banks.